Meritorious. Being meritorious means doing things that are worthy of praise with excellence. To apply the power of focus, great leaders realize that they can only execute 1-3 goals with excellence at one time. [ii] With 4-10 goals, they can only achieved excellence with 1-2 goals. However, with 11-20 goals, they can achieve NONE well. Thus, we have intentionally limited the number of ‘F” to only 3.
a. Family. The first family quarrel happened between Adam and Eve when they started the blame game in the Garden of Eden, after eating the forbidden fruit. We also witnessed the first family murder when Cain was angry and jealous with Abel’s offerings which were better accepted by God. Prophet Samuel and Eli lost their authority and credibility to act as Judges over Israel due to wild and disobedient children. After committing adultery and murder of his loyal solider, King David experienced continuous family miseries.The original Creator of Families desired that parents should relate well with their children and be united with their respective spouses to train up their children as Godly Next Gen Leaders[iii]. b. Fitness. When King Hezekiah was sick to the point of death, he was told to go back and set his home in order. When one is sick with no cure, all the wealth in the world is useless. Mandate given to the early disciples involve 3 major tasks, i.e. preaching, healing and deliverance. Much mental and physical fitness restoration is needed in our modern world despite the advancement in medical science and technology. c. Finance. There are well over 2000 verses in the Bible on money related matters. The greed of money has brought much untold pain to individuals, families and nations. [iv] Anxieties, corruptions, and conflicts over money have divided homes, caused sleepless nights and destroy nations. Without good and healthy relationships with family, it will cause our fitness level to deteriorate fast. Amassing wealth with no loved ones to share is a sad story indeed. 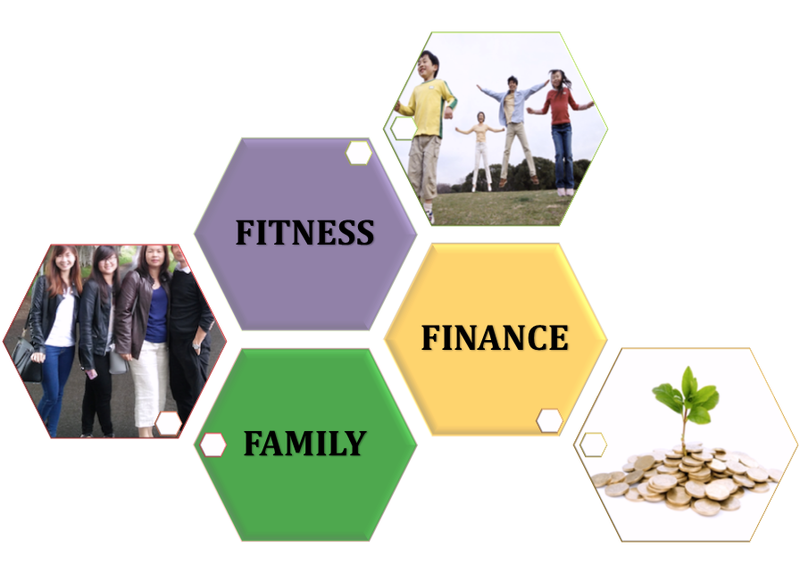 In fact, with a strong family success as the foundation, it gives us greater motivation to manage finance well and keep ourselves healthy. We don’t have a separate “F” for “Faith” because “Faith” is integrated into all the “3F”. If we achieve synergistic success with “3F”, we will have “Fun”, “Fulfillment” and “Freedom” to live out our life-purpose. We don’t use another “F” for “Focus” because “3F” is our primary focus of learning and application. We will never do anything at the expense of the “3F”. There are other useful ‘F” such as “Favor” and “Friendship”. We don’t suggest only “3F” to exclusion of other “F”. Of course, you can study and apply other “F” in greater details. Each person needs to work out what is best for his or her respective situations. Personally, I think mastering “3F” is a great starting point to achieve sustainable success in our lifetime and beyond. For an example of how to design a 3F Life, see our article here: Designing a Full Life. About the Author: Dr Peter Ting is the President/CEO of Family First Malaysia, committed to TRANSFORM Next Gen Fathers, supported by Mothers, to build Better families resulting in a better Workplace, a better Society, and a better Nation. For more information on our 3F Programs, please refer here. [i] For more information on the Rule of Three, refer to the references at the end of this site here. To experience the power of a 3-point message, also see here. [ii] For a detailed study on this subject, refer to the Leadership: Great Leaders, Great Teams, and Great Results on the Power of Focus, p.61, by Franklin Covey (2006). [iv] See Malachi 2:14-16; 4:6.